Giving us a beautiful perspective of places we travel to, drone usage has seen an upward trend the past few years. However, there are regulations when flying, and Drone Laws in Southeast Asia should be considered when you plan to visit Southeast Asian countries and fly your drone. Drones are considered new technology, so Drone Laws in Southeast Asia may not be as concrete yet, but there are some countries that already have drone laws passed. If they have not drafted drone regulations yet, you are in luck, but if they have and they are stringent with it, then it’s best not to bring/fly your drone. I intend to bring my drone wherever we travel to from this day forward, so bookmark this post to keep updated. We will stick with Drone laws in Southeast Asia for now. If you plan to buy your own drone, here are a few tips before buying your first drone. The Philippines is maybe the most lax in Southeast Asia as of the moment regarding drone laws. Maybe because we are not too paranoid with terrorist attacks just yet, but there has been rumors of drone regulations being drafted by Congress. Unlike in most Western Countries where most people get antsy when they see you flying your drones, Filipinos actually are a curious bunch and may join you in filming with big smiles to flash to your drones. It is either we are really that hospitable or we are still naive of drones. 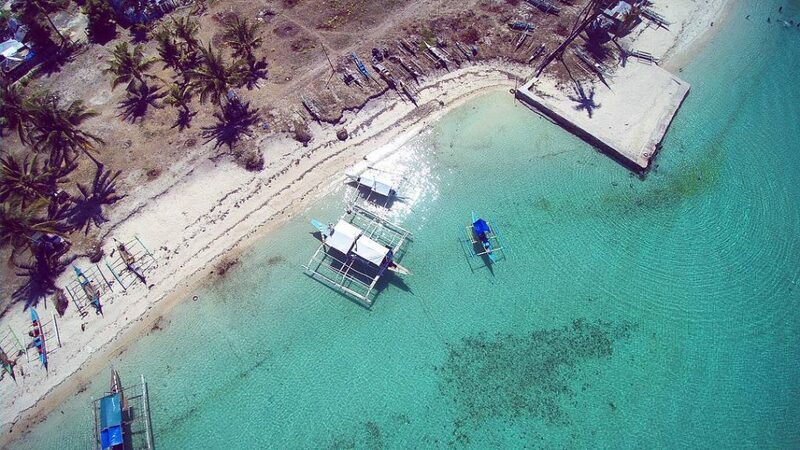 A number of tourists have had really nice aerial captures of the Philippines, so it could also be a plan of the tourism department to be lax on drones? With ever-changing strict implementation of Drone Laws in Southeast Asia, the Philippines may follow suit with concrete drone laws of their own. If you own a drone heavier than 7kg and use it for commercial purposes, you will need to register the drone. If your drone weighs less than 7kg and fly it for leisure, there is no need to register it. Drone Laws in Malaysia particularly specifies that owners are not allowed to fly the higher than 400 feet. You are also not allowed to fly drones in crowded spaces or in restricted air zones. So, it’s particularly just the basic drone laws. There are slightly strict regulations in Cambodia due to some irresponsible drone users who flew their drones over the Royal Palace in Phnom Phen a few months back, but you can still fly your drone in the country, however, it is best not to fly it in palaces and temples. Drone flying in Angkor Wat Temple Complex and other temples in Siem Reap is regulated because it is near the airport and airports are ‘No-Fly Zones’. I also have a drone that automatically has its motor disabled if it detects it is inside a No-Fly Zone. Some drones can bypass this, so they maybe able to fly in the complex, but then again, it is best to ask permission from the tourism or Civil aviation office of the country for updates on Drone laws in Cambodia. As of June 2016, Myanmar has strict Drone laws. If you bring your drone in Myanmar, customs will confiscate it. There has been a lot of reports about this and it looks lie Drone Laws in Myanmar will not change soon. I did not bring my drone to Myanmar because of this and left it in Bangkoks’s airport. It will be really nice to fly drones in Bagan to capture an aerial view of the temples, but I did not want to risk it. You can coordinate with the Civil Aviation office of Myanmar before flying into the country if you are really interested. Myanmar is fast-changing so Drone laws in Myanmar could change fast too. I have had no issues flying my drones in Phuket and Krabi, Thailand. In Bangkok, I did not bother flying it as we were staying at least a kilometer from the Royal Palace and I did not want to get in trouble. As I read, strict drone laws in Thailand are particularly implemented in or near temples, goverment offices and palace complexes in Thailand Irresponsibly flying your drone on regulated places will come with a hefty fine, so fly at your own risk. We were only in Singapore for a day, so I did not really have the chance to fly it but as I read, new drone laws in Singapore took effect in June 2016 specifying that permits have to be sought to fly a drone of more than 7kg, or within 5km of any airport. This Singapore Drone Law is called “The Unmanned Aircraft (Public Safety and Security) Act”, provides clear guidelines for the safe use of drones. Permits will be needed if you fly near airports or near certain security-sensitive areas and using your drones for specialised services, such as surveying, aerial advertising, flying display performances and others. Drone Hobbyists who use drones for recreational or private purposes can fly without a permit, as long as their drones weigh less than 7kg and are not used in any of the mentioned above. Borobudur Temple is a “No Drone Zone” so you can’t fly from inside the complex. I found a soccer field near Borobudur and flew the drone from their and took aerial videos and photos from afar. For Prambanan Temple, I did not see any particular sign of a “No Drone/Fly Zone”, but it is near the airport so I did not bother flying it. Also, I have read of some users getting reprimanded while flying inside the temple Complex. Tanah Lot Temple in Bali is also a “No Drone Zone” but you can fly and film if you pay 500,000 Indonesian Rupiah as a “donation” as per the lady who told me to stop flying. I did not want to argue with her and did not have enough Rupiah to spare, so I stopped flying and packed up. I was able to fly in Uluwatu Temple in Bali, but I had to take off from a secluded place and filmed from afar. Kuta Beach is Bali is a no-fly zone since it is a few kilometers away from the airport. Aerial shot of One Tree Point, Turros Head (Australia). 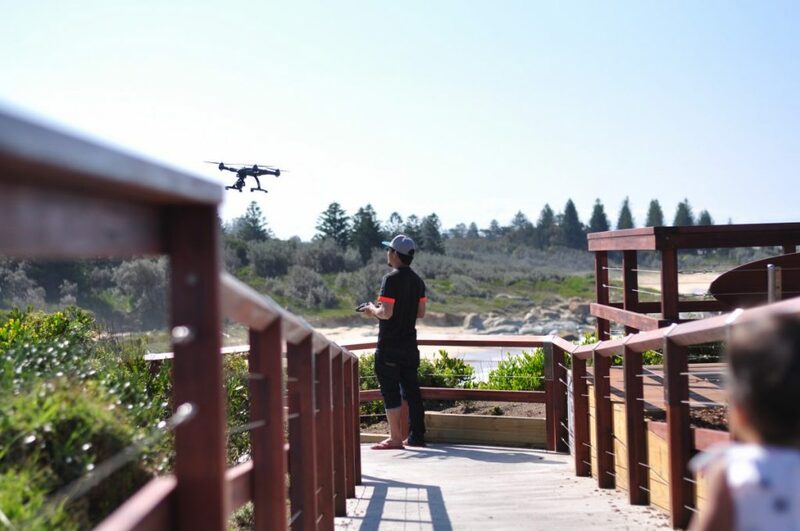 Yes, we mentioned this was post about Drone Laws in Southeast Asia, but since we also went to Australia, we will just include discussing about Drone Laws in Australia in this post. As of September 29, 2016, new drone laws in Australia have been implemented. You can fly your drone without approval – providing you follow some simple safety rules. Australia’s Drone laws specially for recreation flying have been detailed in Civil Aviation Safety Regulations Part 101 cover all recreational unmanned flight, including drones. Hey, thanks so much for putting this article together – we are heading to Myanmar in the next month and it’s apart of quite a big trip to which we don’t want to not take the drone with us for the other countries – you said you left it at a Bangkok airport, could you please elaborate on this? In the airport there are locker services where you can store things. Although they don’t recommend you leaving valuable things or electronics. Also a padlock is greatly recommended when doing this. I would advice to check with a hotel where you might stay and see if they offer this service as well. What I would like to know is if I want to monetize the videos on Youtube do I need a special license or can I just shoot the videos and if they ask I tell them is for personal use. am in myanmar at the moment. bought my mavic pro in with no issues at all. have flown it several times in the countryside with no problems – just lots of excited children crowding around! The Mavic can easily go through because it’s not as obnoxious as the other drones, maybe?